Enter A Whole New Dimension Of Fun With A 3D Interactive Adventure In Your Own Backyard! 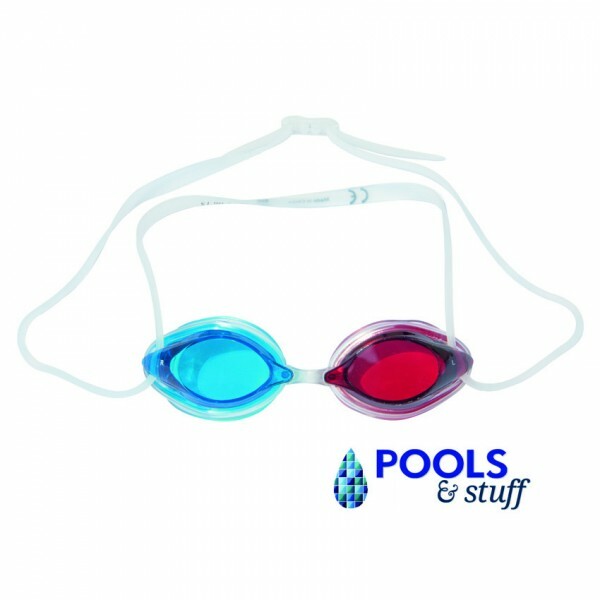 Interior graphics running around the pool perimeter appear 3D when wearing special goggles. Kids will have sensational deep sea fun diving beneath the surface searching for sunken treasure crystals. Make a game of it and see who can collect the most! 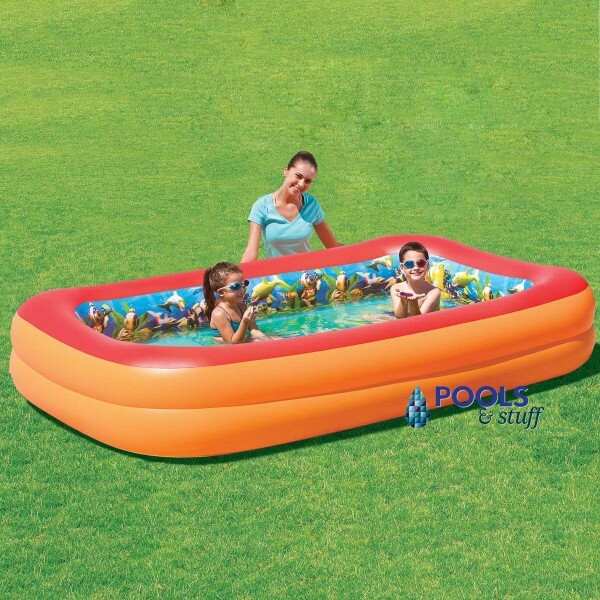 This inflatable swimming pool is incredibly simple to set up. All that’s required is a flat surface, an air pump and access to a water connection. Then it’s as quick and easy as inflating the pool’s sidewalls and filling with water. 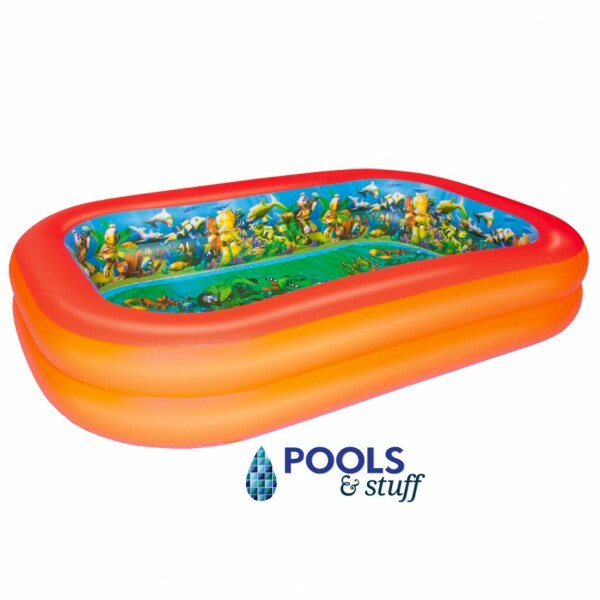 The Splash & Play 3D Interactive Adventure rectangular pool is made from durable PVC and polyester with extra wide sidewalls, promising many seasons of enjoyment. Includes heavy duty repair patch kit.